There’s a new kind of postage stamp taking over. It’s called, the “Forever Stamp”. The name is quite apt, considering it’s purpose is to retain its value. The value of always being able to be used for first-class postage. First introduced in 2007, these non-denominational First Class postage Stamps are the first of their kind. For example, in 2013 it costed $0.46 to mail a letter to any address within the continental United States. However, by 2014 this price had increased to $0.49 for the same service. Anyone who had purchased their Forever stamps prior to the rate increase, could still use them. This makes it better to purchase stamps in bulk immedietly. You save money in the short-term and the long-term this way. 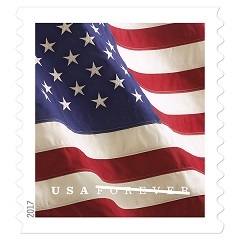 Ideally, you want to use a Forever stamp anytime you plan on sending a normal-sized, under one ounce letter within the United States. Forever stamps quickly caught on due to their usefulness and inexpensive price. Many retailers such as Walmart, Walgreens, CVS, and some grocery stores contacted the USPS to see if they could sell stamps. An agreement was made and today you can purchase stamps at any of these retailers. Below is a full list of retailers who sell stamps.